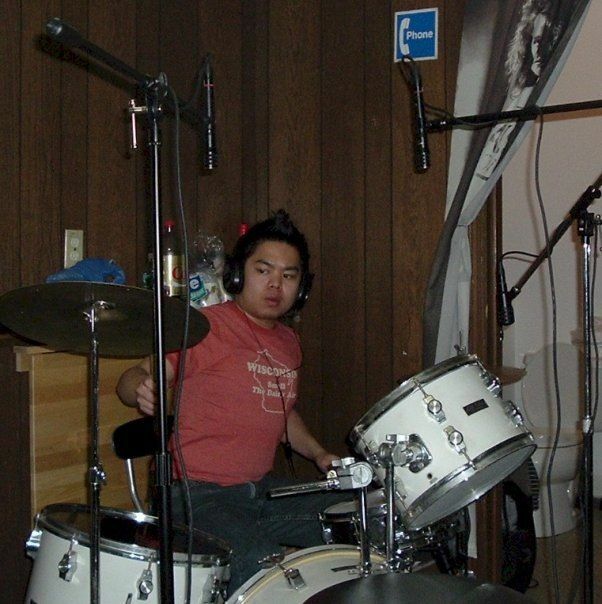 Recording Process, Drums | Richy923: Published! The first half of production of face:the.music was recorded on my old XP computer, using Sony Vegas. The hip-hop beats were built using FruityLoops and my cheapo Yamaha DJX II. As for the rock songs, I attempted to record everything live, but the end result were weak sounding drums. This is something I’ve been trying to tackle for a few months now. For the tech-savvy people, I’m using an Alesis Multimix for my preamp and FireWire interface, and these Audix Fusion 6-piece stage drum microphones that I won off eBay. I’ve studied live drum miking in school, and recorded live drums in the studio I used to work at, but it’s been so long and I’m a bit rusty. Since I was so anxious to lay down the guitars and vocals for some songs, I ended up building the drums on fruityloops temporarily, but i’ve decided to stick with them even though they sound kinda fake and processed. “Just a Little Ode to Her” “Rush” and “I Need Today” might stay as is, but im going to attempt live drums again for the remaining 4 rock songs. Since I got myself a Mac running Logic or Garageband now, I’m hoping the audio processing on those programs will give me a little more fidelity and headroom so my drums can sound better than my last attempt. This entry was posted on September 23, 2008 by richy923. It was filed under gadgets, music and was tagged with drums, production, recording.